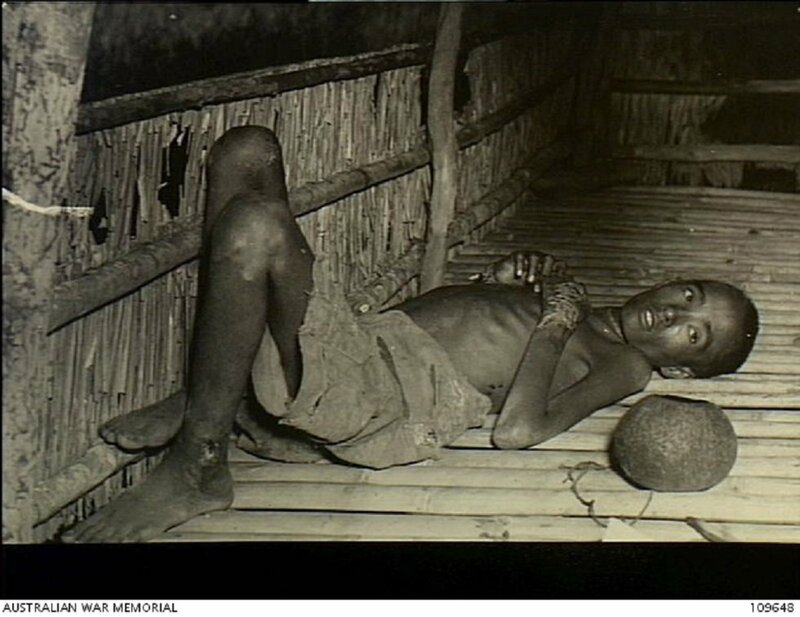 One of a group of natives found in Gadong Jail by an Australian patrol, with the man having been tied to a tree without food for ten days, 14 June 1945. Image courtesy of Norman Bradford Stuckey, Australian War Memorial. Between 5 May 1945 and 8 June 1945. On or about 10 June 1945. 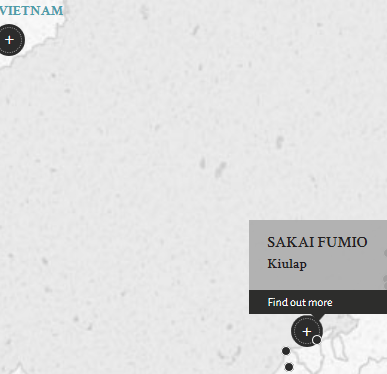 Sergeant Sakai Fumio was a member of the Kempeitai in British Borneo. Between 5 May 1945 and 8 June 1945, Sakai beat a civilian resident imprisoned in Gadong jail, one Chin Chiu Siang, for 3 hours in the morning and 3 hours in the afternoon continuously for 3 days. On or about 10 June 1945, 8 civilian residents were allegedly executed in Kiulap, British Borneo, without any trial. Their names were William Wong, Chin Chiu Siang, Teo Kok Meng, Ali Hassen, Orang Kaya Steabakti, Jumul, Taha, and Haji Kassim. Although the accused was not responsible for the actual death of the victims, it was said that his very presence and assistance as a guard at the scene of the execution, together with his previous actions at a time when he knew full well that they were to be exeuted without trial rendered him guilty of being concerned in the unlawful killing of the said victims. Although a relatively straightforward case, the trial was marred by the delay in reviewing the proceedings. This appeared to be caused by the inexplicable disappearance of the original trial documents. Consequently, it took almost one and a half years for the sentence to be promulgated. Sakai, Fumio. Sergeant. From Japanese military. From Japan. Guilty on both charges. 10 years' imprisonment. Sentence confirmed with no change. LeGallais, R.L. Lieutenant Colonel. From British military. Barrister-at-law. Court President. Saeki, Kinji. Civilian. From Japan. Judge, Hiroshima District Court. Lead Counsel. Khan, T.A. Major. From British military.